According to Twitter Internal Data, as of 2014, 80% of Twitter users access the platform from a mobile device. By creating a page and promoting your app on twitter, you have a huge opportunity to reach a relevant audience that owns iPhones, Androids, and other smartphones. Allowing users to follow your app on twitter enables them to interact with the developers and team that created the app as well as gain a closer understanding of the app itself. 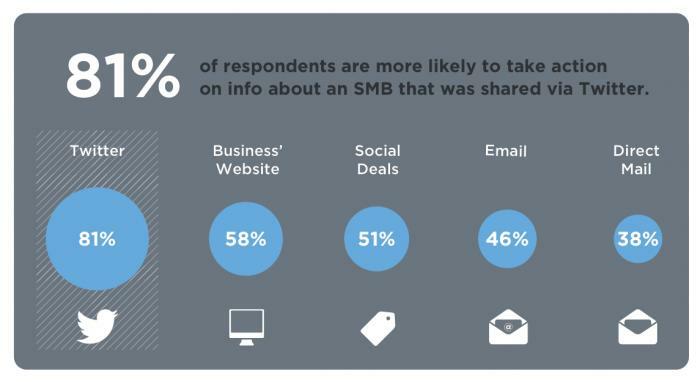 According to Research from a DB5 survey, 73% of respondents say they feel more positive about a small business after they follow that business and read its Tweets. The same logic follows for mobile apps. Research shows that Twitter followers are more likely to take action (ie download your app, give it reviews, etc) on information shared via Twitter than any other channel. Don’t get left behind, open a twitter account and start a conversation now. 2. But What Should I Say? Twitter is a completely unique way of communicating and it comes with a unique set of rules or twit etiquette. Here’s a crash course. Make sure you’re welcoming your new followers with a steady stream of engaging Tweets and content. If they like what they see, they will be sure to download your app and even better retweet what you have to say. That being said, make sure you keep the conversation flowing. It’s good Twitter manners to reply to all users who ask questions. Use tools like Tweetdeck to make sure you’re not ignoring any of your followers. Additionally, promote friends, followers and other apps you find interesting (karma will have them promoting you back). By having a promoted account, Twitter allows you to filter an audience that would be most interested in your app and display your tweets to that audience. Your tweets will become famous, they will appear in your potential users newsfeed and in the “who to follow” tab. 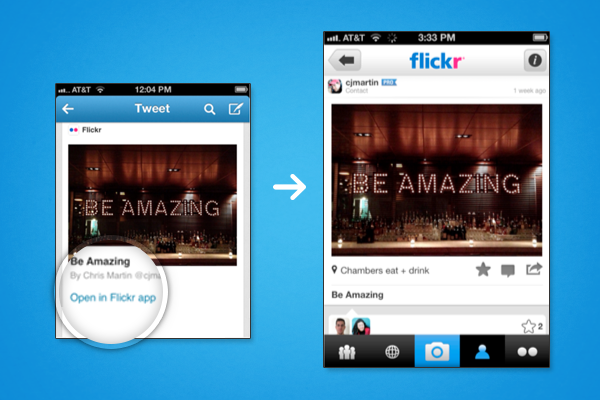 Take advantage of all of Twitter’s features by using App Cards to promote your new mobile app. The App Card allows you to showcase your app directly within a tweet and have users preview an image, a rating, and a short description of your app right on their timeline. Users will be able to download or open your app easily with just a single click. With the use of deep links, users will be able to click on a link in your tweet and quickly be redirected to a specific page within your app. Additionally App Cards lets you narrow in on a targeted audience of your choice based on device, operating system, and more. Wanna get more familiar with App Cards? read this. Twitter is a great channel to communicate with new users and spread the prelaunch buzz for your app. Simply create a page, follow the twitterverse rules, and generate a community of loyal followers. With the right marketing techniques, your new app will do more than stand out from the crowd. What tips do you guys recommend for best tweeting? Comment below or Follow us to start a conversation. Happy Tweeting! Raised between the carribbean hometown of Sofia Vergara and Pitbull’s 305 home #dale, Paula has always lived by the beach. She is a lover of all types of music, excessively fattening foods, and insta-stalking. Paula is a member of Boston College’s Class of 2017, majoring in mathematics and economics. She has an unhealthy addiction for expensive shoes and things that do not come easy.